I remember when I first heard the pitch for a collaboration between Telltale Games, known for episodic graphic adventures such as The Walking Dead, The Wolf Among Us, and even Game of Thrones, and Minecraft. I thought I had heard incorrectly. 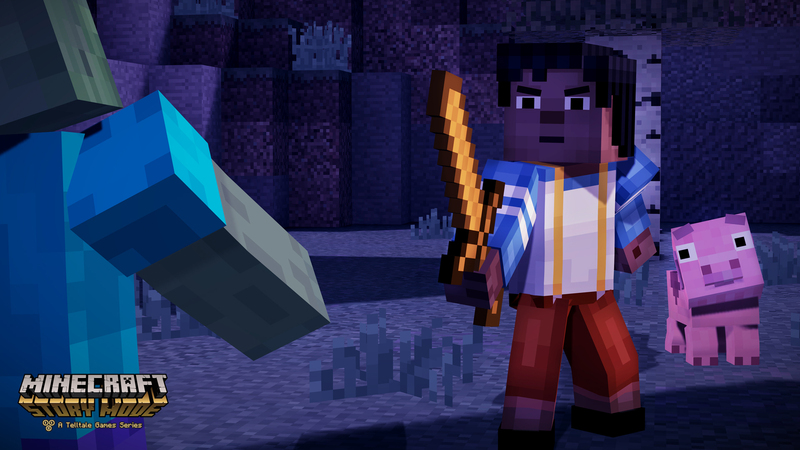 Surely, a series like Minecraft, with no characterization and lots of expansive building options, wouldn’t make any sense in the hands of the folks from Telltale. It seemed like utter madness. 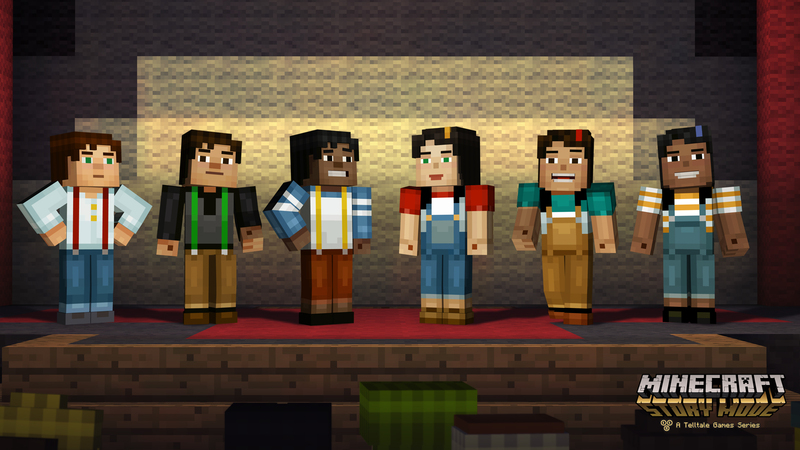 That is, until I actually got a chance to play Minecraft Story Mode this year at Prime. Now the funny thing about me trying this game out is I have never actually played Minecraft (afraid I would become obsessed with it) nor a Telltale game (though I have bought several recently, once I bought a Vita). That said, I know plenty about both series, and felt well enough equipped to make judgments based off what I have read and seen about both. I know Telltale games are full of exposition, deep characterization and lots of multiple choice decisions that have repercussions. Each of these facets translate seamlessly into Minecraft Story Mode. At the start you pick how your main character, Jesse, will look. For the Prime demo you couldn’t actually make this decision, but the full version will allow players to choose his appearance and even his gender. But I’m very glad I couldn’t monkey around with those details, since I found out that the male Jesse is voiced by legendary funny man, Patton Oswalt! Which explained why everything Jesse said was pitch perfect and entertaining. Besides Jesse, other cast members are introduced in the demo, such as Petra, Alex, Olivia and Lucas, who all play a role in the game. But for the purposes of the demo, there is another main character – Jesse’s pet pig, Reuben. The demo consists of Jesse searching for Reuben, who got scared and ran away. You control Jesse as he searches about, and once you find Reuben, things get weird. Jesse is attacked by zombies and giant spiders, only to be saved by the intervention of his friend / potential love interest, Petra. She takes you to a hidden cave where you then are able to forge your own sword, since yours gets broken in the fight. Once that happens, the story jumps to a new section, discussing a convention called Endercon, and how a series of events leads to the creation of a shadowy abomination. This multiple headed, ebony, tentacled monstrosity starts grabbing innocent civilians, and you control Jesse as he runs for his life. At the behest of a friend, you make your way to a temple that is supposed to be safe, only to find the creature is able to search the temple with his tentacles. Events transpire so that Jesse has to make a decision to save Petra or the man who brought them to the temple, and then you open up a gateway and rush to safety. 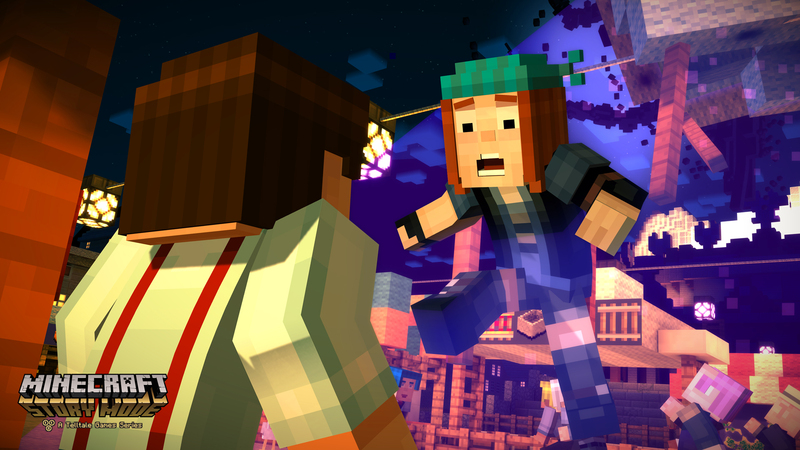 Overall, I was quite pleasantly surprised by how much I enjoyed Minecraft Story Mode. It plays out like a big budget animated Pixar movie, with humor, action and drama to spare. I was also intrigued by the bits of the story that were revealed, and would love to see how it all plays out. 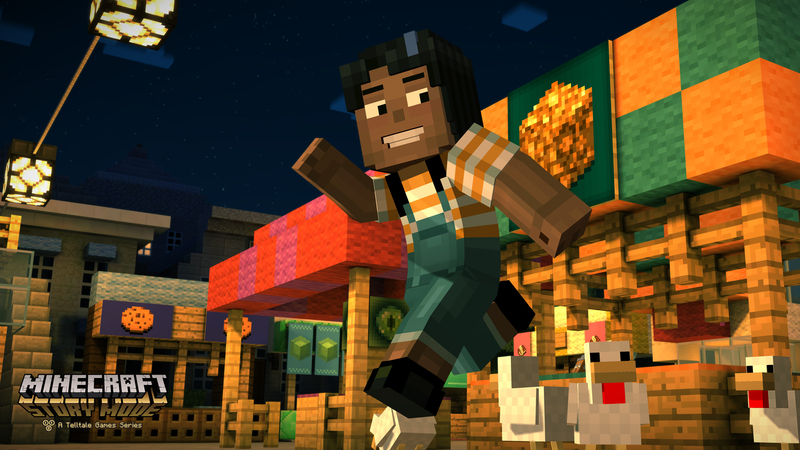 If you like what you see, Minecraft Story Mode is coming to practically every console that exists, as well as PC and mobile sometime in late 2015. I am stoked to see what the final build looks like, and have high hopes for this cinematic blocky adventure!